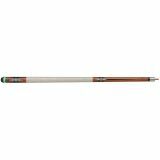 Hardwood Bridge Cue - 5-position aluminum bridgehead. Helps reach shots anywhere on the table. Pack of 6. 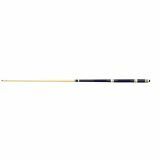 40" Shorty- 1-piece hardwood cue with 12mm ferrule and tip. Perfect for jump shots. Pack of 6. 57"- 4-piece walnut stained w/ 12mm ferrule and tip. 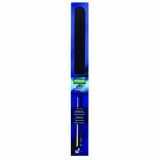 Implex joint, black handle with nylon wrap. Pack of 6, 2 each of red, blue or black. Billiard Cue and Case Combo includes 2-piece 57" hardwood cue, hard cue case, cue tips and ferrules, tip scuffers, and billiard chalk. 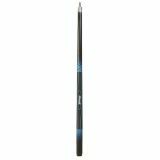 58" 2-piece hybrid composite cue with 13mm ferrule and leather tip. Stainless steel joint and soft touch grip. 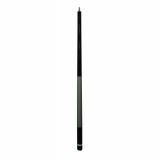 58" 2-piece pro-taper maple cue with 13mm ferrule and leather tip. Stainless steel joint for more solid strike/ white and brown lacquer- coated nylon wrap resists oil and moisture from handle. 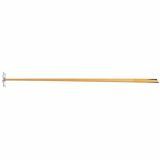 58" 2-piece pro-taper maple cue with 13mm ferrule and leather tip. Stainless steel joint and black nylon wrapped handle. 58" 2-piece composite cue with 13mm fiber ferrule and leather with stainless steel joint. New texturized sport grip. 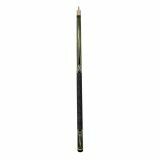 58" 2-piece TriCarbon composite cue with 13mm carbon composite ferrule and leather tip. TriCarbon construction will not warp; carbon composite joint for extra solid strike. 3D sport grip for extra comfort and performance. 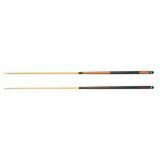 Recreation Billiard 1 Piece Cue 57"
57" 1-Piece hardwood cue with 12mm ferrule and leather tip. Painted and textured handle. 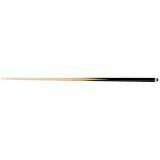 57" 2-piece hardwood cue with 12mm ferrule and tip with stained handle.